For Rachel Lang, creating characters that audiences can connect with means having "a genuine love for flaws, joys, despairs and foibles. Mostly you have to love your characters and never judge them ... if you sympathise with and understand your characters, then the audience can sympathise too." Lang's best-known show certainly proves her point: the hard living, hard drinking family in Outrageous Fortune collectively display almost every foible one could imagine. The series rightfully became a Kiwi classic. By the time she created Outrageous Fortune with James Griffin in 2004, Lang had developed her skills across various aspects of writing for TV — including story editing, storylining, scriptwriting, and coming up with the ideas in the first place. She'd also spent time on the other side of the screen, as a reviewer and journalist for industry mag Onfilm. Believing success results from collaboration "with good people" and bouncing ideas around, Lang has worked for much of her career with two main writing collaborators: Australian-born Gavin Strawhan and Kiwi James Griffin. 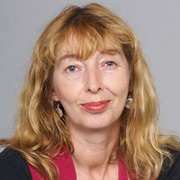 Lang's first gig behind the television camera was as a script editor at TVNZ in the 1980s, including episodes of police show Shark in the Park, 1986 ensemble drama Open House and road movie Mark II. In 1992, she started work as a storyliner on new daily serial Shortland Street. Lang spent three years on the show's so-called "table of pain", including two as Shortland's first Kiwi story editor (the show was initially aided by soap experts from Australia). Lang continued as an executive producer until 2000. Working with Gavin Strawhan, Lang created successful small town dramas Jackson's Wharf (1999-2000) and Mercy Peak (2001— 2003). Jackson's Wharf centres around the rivalry between a local policeman (Patrick Toomey) and his city slicker brother (Australian actor Stephen Whittaker). Aimed at younger viewers and set in a coastal town, the one-hour drama lasted for two seasons. Mercy Peak's ensemble cast included Jeffrey Thomas, Alison Bruce and Craig Parker. The drama centres on a doctor (Sara Wiseman) who moves to a small town medical practice. NZ Herald reviewer Fiona Rae praised the characters as "fully realised, complicated people with histories and flaws and problems and successes". A consistent ratings success — even during a third and final season, which screened in the traditionally tough Friday night slot — Mercy Peak's 60-episode run ranks it among the country's longest running dramas. Lang and Strawhan were also the series writers for award-winning export Maddigan's Quest (2005). Created by children's writer Margaret Mahy, the big budget fantasy series follows a circus troupe travelling through a post-apocalyptic future. Lang remembers Mahy as "naughty, unconventional, tangential, lyrical and zinging with ideas". Lang has a longtime association with South Pacific Pictures, including two years in the mid 90s as the company's Head of Development. During this period she co-created (again with Strawhan) three Lawless tele-movies starring the late Kevin Smith as private investigator John Lawless, script edited on Marlin Bay, and worked on James Griffin's City Life. Lang's biggest success to date has been Outrageous Fortune, which over six seasons netted her three Qantas Awards for scriptwriting, and as many nominations. The idea for the show was one of six proposed to South Pacific Pictures by another longtime writing team: that of Lang and James Griffin. The concept: "an upside down morality tale" that was comedic, rude and unmissable. Lang had been thinking of a crime family story when she created the Van der Velters, the white trash family from Mercy Peak (actor Antony Starr, who played one of the Van der Velters, would become a vital comedy element in the new show). Keen to create a strong matriarch, Lang had also been mulling over why more mothers weren't engaging in crime, when the median income for NZ women was so low. Asked what was done differently with Outrageous compared to earlier characters and shows she's been involved with, Lang's reply was "nothing". "If there was a secret formula to success, it would be bottled; everyone would be using it; and I'd be retired." Prequel show Westside debuted with this episode in 2015; a third season followed in 2017. Again the show was created by Lang and Griffin. The pair also found success with The Almighty Johnsons, which mixed drama, comedy and elements of fantasy. The series centres on an average young Kiwi (Emmett Skilton) who must find the wife he is destined to be with, so he and his four brothers can completely restore their God-like powers. Debuting in February 2011, The Almighty Johnsons ran three seasons, and sold extensively overseas. Lang/Griffin murder mystery The Blue Rose screened in 2013. Lang had an especially soft spot for her hero Jane (played by Outrageous Fortune alumni Antonia Prebble), who investigates a suspicious death while temping at a law firm. Outside of her work with James Griffin, "North Shore fairytale" Go Girls debuted in 2009. Created by Lang, Gavin Strawhan and Kate McDermott, the series featured a Kiwi bloke (Jay Ryan) as narrator, alongside three female friends on a quest to be rich, married or famous within a year. Lang intended it as "an optimistic, kind show about people who liked each other, because we were sick of watching people getting murdered". Sydney Morning Herald critic Michael Idato praised the writing and humour; the Go Girls concept also sold overseas, including to the United States. The fifth season saw an attempt to retool the series with a new crop of 20-somethings (Lang writes about the show's birth here, and also talks about Go Girls five minutes into this interview). July 2010 saw the first episode of This is Not My Life. Lang describes it as "probably the hardest show I've ever worked on". Created by Gavin Strawhan and Lang with help from Jason Daniel, it centres on a man (Charles Mesure) who wakes up one day and does not recognise his name, his wife or his children. The "paranoid thriller" is set in a future New Zealand where information is controlled electronically — allowing the writers to investigate questions of identity, memory and illusions of freedom. The Lang/Strawhan team were also the creators of Nothing Trivial, and three shows which all debuted in 2016: Filthy Rich, Dirty Laundry, and Hyde & Seek. Nothing Trivial (which Lang writes about here) revolves around five romantically-wounded friends who form a pub quiz team. After three seasons, the show wrapped with a telemovie in 2014. Filthy Rich tells the story of a group of young people who discover they might be in on a vast family fortune; Dirty Laundry chronicles a family who discover their mother is a money launderer. Australian crime thriller Hyde & Seek involves a detective trying to work out who murdered his partner. Stuff writer Malcolm Hopwood called it the pair's "best yet". In 2017, Lang was made a Member of the New Zealand Order of Merit, for services to television. In another life, she appeared on-screen as an actor: in the first New Zealand drama series to put female characters front and centre — Fiona Samuel's 1987 marching team drama The Marching Girls.